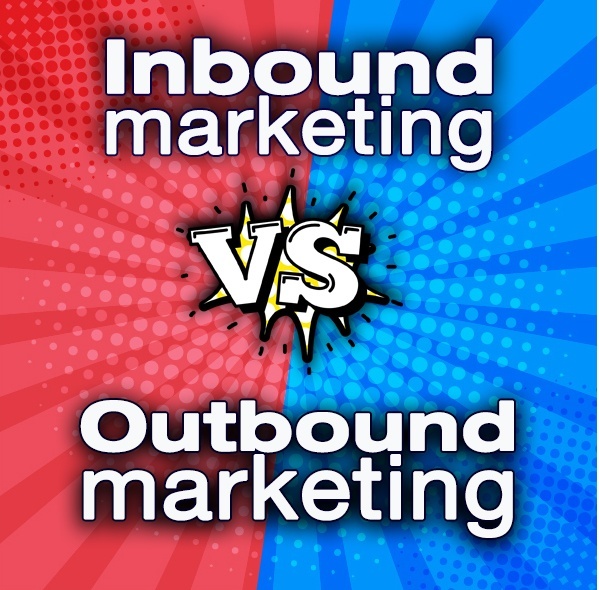 Inbound marketing vs outbound marketing. What is the difference between the two and which one is better for your business? Whichever industry you work in, you have a choice when it comes to marketing your business - using the inbound marketing process or outbound techniques. 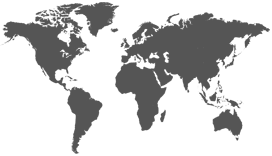 Outbound marketing includes techniques such as cold calling, advertising, purchasing lists, telemarketing and trade shows. It’s called outbound marketing because the process interrupts people and pushes messages out in scattershot approach in hopes it will hit a needle in the haystack. Inbound marketing attracts people already searching for a product or service through search engines, videos, blogs, social media and websites. It’s called inbound marketing because it reaches consumers who are actively seeking information to solve a problem or issue. The cost of outbound usually relates to a small fortune. Television and radio advertising will cost a lot of money to produce and broadcast multiple times. Print advertising and direct mail will cost to design, print and mail to people who may throw it in the recycling bin without even looking at it. Trade shows means spending money to rent a booth, furnish the booth and attract people to the booth….plus the added cost of shipping your products to the show and booking the hotel/flights for your employees. With inbound, most of the effort is put into the internet, the costs can be significantly less than outbound. With inbound, you produce content that educates your idealistic buyers. This content can be in the form of blogs, videos, ebooks, webinars or live webcasts. It lives on the internet forever and can be found by people looking to solve a problem. The outbound approach is scattershot, searching for that needle in the haystack. Sure there might be a lot of potential for me to cast a wide footprint and reach a wide audience, but how many people in that audience are actively seeking your product or service. If they don’t need it, it’s not top of mind and they’re probably blocking it out. What's more, people are figuring out ways to block these outbound techniques out with tools like caller ID, spam filtering and skipping the commercials on their recorded shows. The inbound approach is laser focused. You reach people who are interested in your product and service and are looking to solve a problem. By providing the right educational material to a consumer at the right time, they will become a customer. With outbound, the people you convert (if you convert any) is questionable. There is no measurement standard and no accurate analytics systems that provides concrete data. What’s more, the process is long and can be quite confusing. Salespeople are involved and often they provide false information because their commission depends on the sale. With Inbound, what you put in is what you get out. The measurement and analytics are accurate, real and in-depth. You can track everything in a lot of detail and know what is working and what is not. You can re-align your campaigns rather quickly and adjust to what works and what doesn’t. The outbound process is often complicated, convoluted and confusing. It’s not something you can do on your own. Often you need to get someone else involved whether it be a salesperson, trafficking department or printer. If you do cold calling by yourself with little experience and know how it will be difficult to get through the noise. The inbound process isn’t easy because it requires work. But if you do the work, in time the results will come. You can tackle a lot of these tasks on your own, take control and master the process. You can learn more, get better and adjust quickly to get more out of it. Inbound vs outbound marketing, what's the take away? If you employ either one of these marketing techniques for your company, then the end game is the same, you want more customers. Using the combination of the two or choosing one could push your business to new heights.